Northwest Territories (NWT) is the name of an expansive territory, which shares a border with Nunavut and Yukon. NWT is home to some largest and untouched forests. The population of this province comprises of just 40,000 residents. The basic source of economy for NWT is its excessive geological resources, such as diamonds, gold, petroleum and natural gas. Located on the shores of Great Slave Lake, is the capital city “Yellowknife.” It is an industrial hub, with loads of job opportunities for the workers of this region. Moreover, its scenic beauty also serves as a tourist’s paradise. 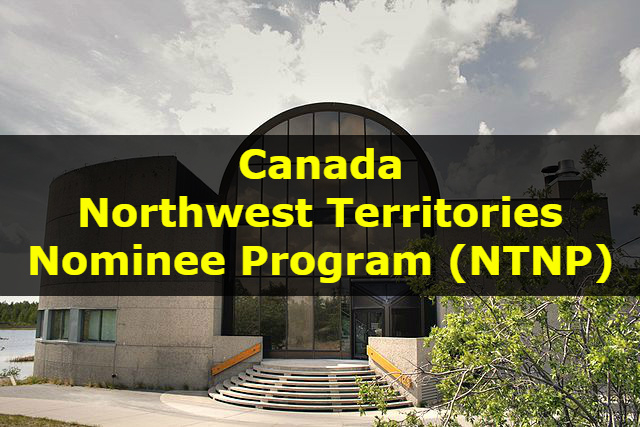 The (NTNP) Northwest Territories’ Provincial Nominee Program targets prospective immigrants with necessary experience and skills. Such Immigrants are eligible for Northwest Territories Provincial Nomination Certificate. This document allows foreign nationals to apply for Canadian Permanent Residence. The actual processing time is relatively less than other Canadian immigration streams. There are two basic immigration programs available under NTNP. However, each of these programs owns its specific set of streams. Candidates, eligible to enter the federal Express Entry pool may apply through the Northwest Territories’ Express Entry Stream. Nevertheless, such candidates must qualify for any one of these three federal immigration programs. Through this procedure, only a certain figure of potential immigrants can apply through Skilled Worker Stream. This specific program is further divisible into two streams. The Self Employed Stream will remain closed on a permanent basis. However, NTNP is accepting applications from self-employed professionals under this stream. These candidates must have some serious plans to establish business outlets. This, in the end, will provide such services, which are in demand with respect to Northwest Territories. Under this stream, NTNP is accepting applications from owners of businesses or entrepreneurs. These candidates must be willing to establish a business in the Northwest Territories. Businesses related to almost every economic sectors are relevant. Nevertheless, businesses capable of introducing new and significant products may seek attention on a priority basis. The employer-driven program is further divisible into two streams. The applicants, after having received an offer of employment in a skilled position may apply under this stream. It is necessary that offer of employment comes from an employer of Northwest Territories. The NTNP accepts applications under this stream from applicants with an offer of employment for semi-skilled or unskilled positions. A work experience of six months in Northwest Territories is also necessary to apply.